It is an essential building block of our training concept to accompany horse and rider in their individual mental and physical development and steadily guide them to a harmonious entity. 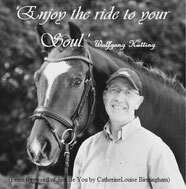 Understanding for equestrian essentials can only be accomplished through the knowledge of the physique and psyche of the horse. 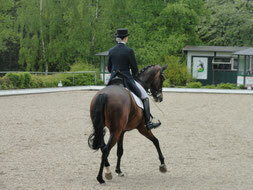 The intensive study of the processes of the special biomechanics oft the horse is of utmost importance. means ideational realization and the comprehension of sensorial information, which we gain throug contact with the horse. "Who doesn't sense it will never learn it." 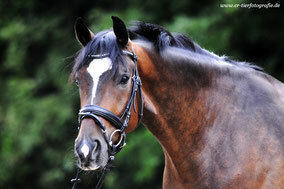 "Communication between horse and rider on the mental level"